Following the recent name change of the Asian International Arbitration Centre (“AIAC”) (formerly known as the KLRCA, Kuala Lumpur Regional Centre for Arbitration), the Malaysian Parliament passed the Arbitration (Amendment) (No 2) Bill on 5 April 2018 (“Amendment Bill”). The passing of the Amendment Bill along with the AIAC’s name change is intended to signify Malaysia’s continuous commitment in further enhancing its profile as a safe seat and arbitration friendly jurisdiction. A definitive expansion in the term ‘arbitral tribunal’ under section 2 of the Act. As certain arbitration institutes now have rules to allow the appointment of emergency arbitrators for urgent interim relief, the term ‘arbitral tribunal’ in the Act would now also include ‘emergency arbitrator’. Expansion of the definition of what amounts to an arbitration agreement under Section 9 of the Act. The amended Section 9 states that an arbitration agreement is deemed to be in writing if it is made through electronic communication. The introduction of new sections 19A – 19J to supplement the powers of the arbitral tribunal in providing interim relief. These sections mainly touch on the conditions in granting interim measures, the application for preliminary orders, and the obligation of material disclosure etc. The new sections allow an interim measure granted by the arbitral tribunal to be recognised as binding, and may be enforced upon application to court (irrespective of the country in which the interim measure was issued). 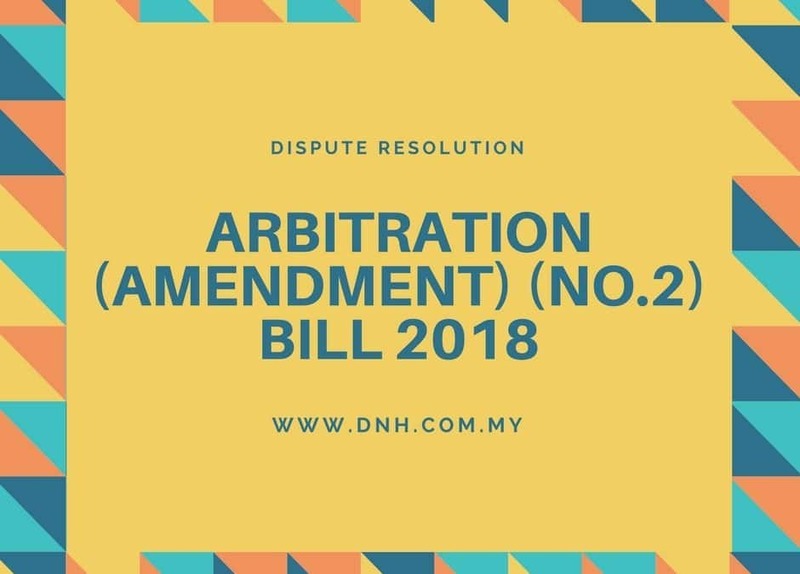 Under Section 19J, the High Court also has the power to issue an interim measure in relation to arbitration proceedings, irrespective of whether the seat is in Malaysia. Confidentiality clauses were also added under new sections 41A and 41B to provide protection for the confidentiality of arbitration proceedings, which is one of the crucial elements in arbitration. Section 41A prohibits the disclosure of the arbitral proceedings or of the arbitral award, except in certain situations (eg: where it is necessary to protect or pursue a legal right or interest of a party). Section 41B provides that all court proceedings under the Act are not to be heard in open court unless one party applies otherwise or the Court is of the view that it should be heard in open court. Sections 42 and 43 of the Act (which allows parties to refer questions of law arising from the award to the High Court), has now been deleted. The purpose of the deletion was to “promote arbitration as an alternative form of dispute resolution”, presumably by restricting Court intervention in arbitral awards. Previously, parties could use Section 42 of the Act as an alternative method of setting aside an award, since the Court was empowered under that section to set aside or vary the award, or to remit it back to the tribunal for consideration. This option will no longer be available once the Amendment Bill takes effect. The amendments are made to ensure our legislation is up to date with key development in arbitration practice, and aims to further enhance the features of party autonomy in arbitration. However, the deletion of Section 42 of the Act may pose some concern to arbitration practitioners, as one mechanism to regulate arbitral awards has now been removed. This article was written by Donovan Cheah (Partner, Employment Law and Dispute Resolution), with assistance from Yeoh Kai Shin (Intern). Donovan is an advocate and solicitor of the High Court of Malaya, and is also registered with the Singapore International Commercial Court as a foreign lawyer. He is a member of the Chartered Institute of Arbitrators, and of the Singapore Institute of Arbitrators. He is named as a recommended lawyer for labour and employment by the Legal 500 Asia Pacific in both 2017 and 2018. Spousal Maintenance: What is Fair? May 9 Declared Public Holiday: Do Employers Need to Observe it?